There are currently only two categories to choose from: Asian-American, and Native Hawaiian and Pacific Islander. Under the proposal, Bangladeshi, Hmong, Indonesian, Pakistani, Taiwanese and other groups would be added. Supporters of the bill say breaking these subgroups out highlight their respective needs and challenges, so that resources could be more easily directed at them. Calvin Chang, Policy Director for Empowering Pacific Islander Community (EPIC), said that it’s impossible to know exactly how the data will be used until it is collected. However, he emphasized that it’s necessary to identify health problems endemic to certain communities. He thinks it’s a civil rights issue. Calvin Chang: It’s an issue that crosses all of our communities...That’s why it’s important to make sure that all of our communities are getting access to the resources that we should be getting. The only way to ensure that is to actually see whether or not Chinese-Americans, Koreans, Japanese, Tongans, Fijians are actually performing at a level that should be befitting of treatment by their character and not by the color of their skin. This data is how we measure whether or not progress is being made to meet those civil rights principles. But opponents, including some Chinese-Americans, argue that the additional data would be used against more represented Asian-American groups, especially in college admission decisions. Kai Zhu is an attorney from the Bay Area who is a vocal opponent of the bill. He worries that the bill will hurt Chinese-Americans’ access to higher education. Not everyone in the Chinese-American community is convinced, even those who will soon be applying to college. AirTalk listener Jason will soon be a high school senior in Redondo Beach. He is Chinese- and Korean-American, two groups that are often “overrepresented” at colleges and universities. Still, he believes this bill is necessary to promote educational and health equity. Jason in Redondo Beach: I’m 16 and a rising high school senior, who’s actually going to be applying to college soon. I really approve of AB 1726. I think that the bill is all about increasing educational equity and access. From the limited data we have, we’ve seen that Laosian-Americans and Vietnamese-Americans are struggling academically and especially in higher education. With more data, we can increase the amount of resources they’re given. The bill is not about hurting Chinese-Americans. It’s not just an educational access issue. It’s also a health issue. The data can be used to help Chinese-Americans and Korean-Americans. For example, if it’s found that Chinese-Americans have higher rates of Hepatitis B, we can address that with this data. Zhu thinks there are better ways to promote equality among California’s Asian-American groups. Unlike Zhu, Chang doesn’t see the bill as divisive. “We don’t think it’s divisive to acknowledge the diversity that already exists in our community,” he said. 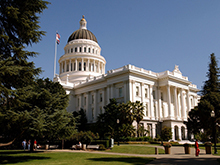 The bill moved out of the California Assembly Committees on Higher Education and Health in April, and heads to the Appropriations Committee.